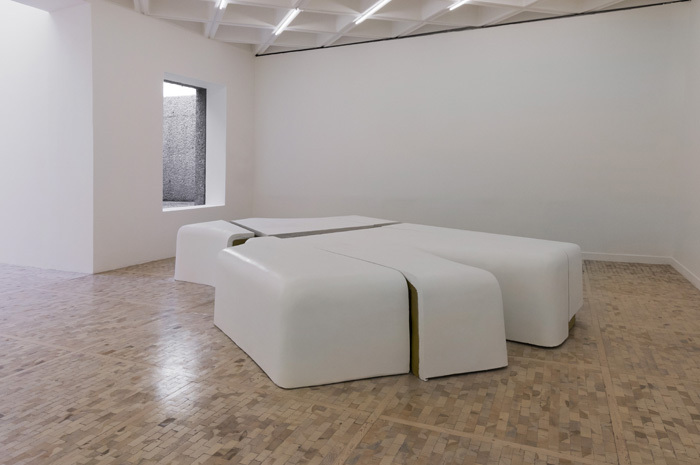 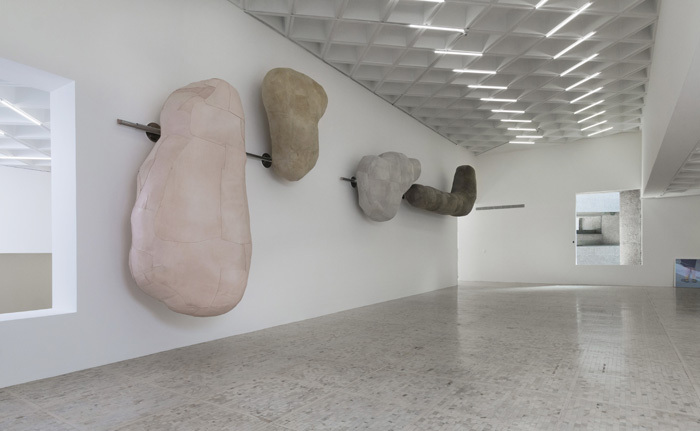 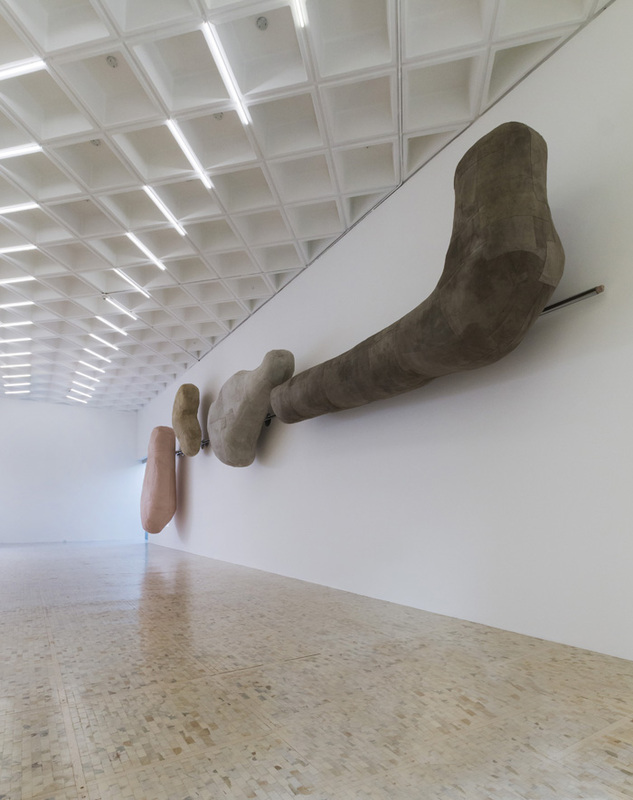 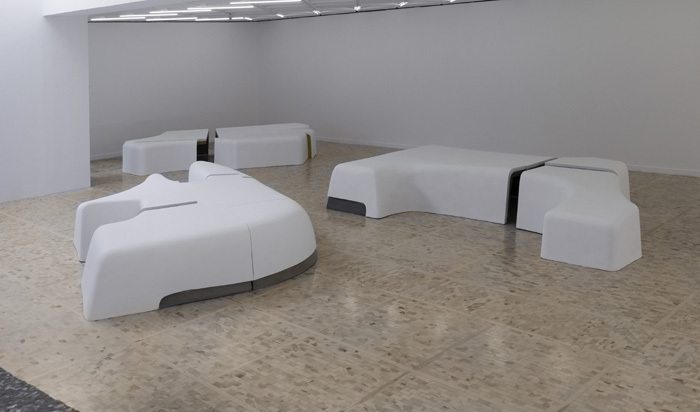 The sculptural works of Berlin artist Nairy Baghramian (b. Isfahan, 1971) typically address the conditions of their own making, their physical and extended contexts and a nexus of referential resonances. 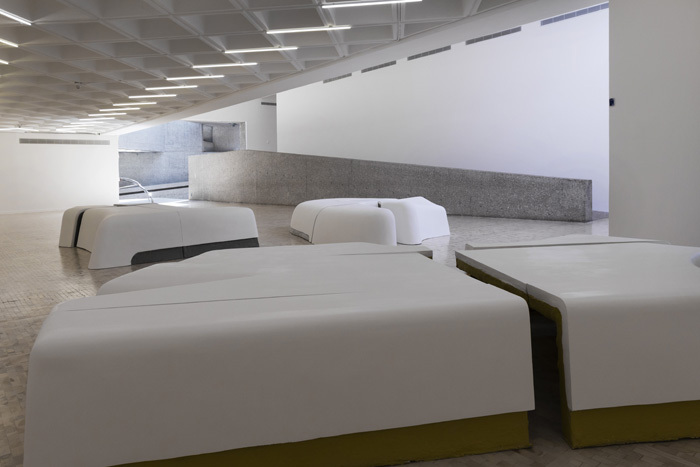 The solo exhibition Hand Me Down alludes to gifted 2nd hand clothes as a metaphor for the contradictory received canon of contemporary sculpture since minimalism. 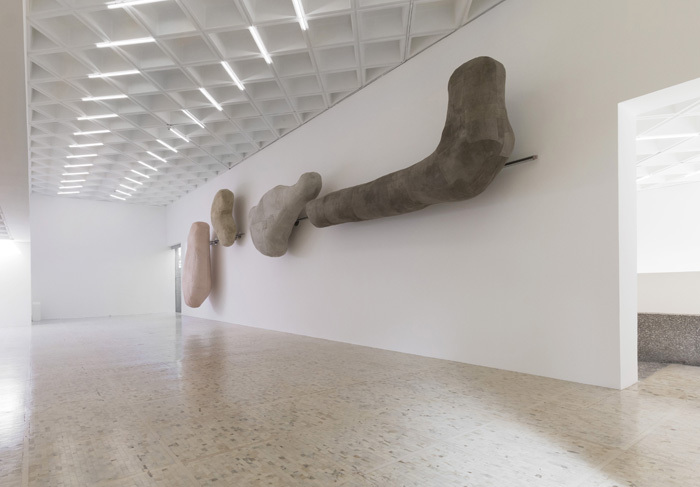 The artist offers a ‘body of work’ that has been separated into abstracted, constituent parts: here the cutouts, hollow shell, there the denuded skeleton sketched as intersecting steel lines and elsewhere the enlarged hanging organs. 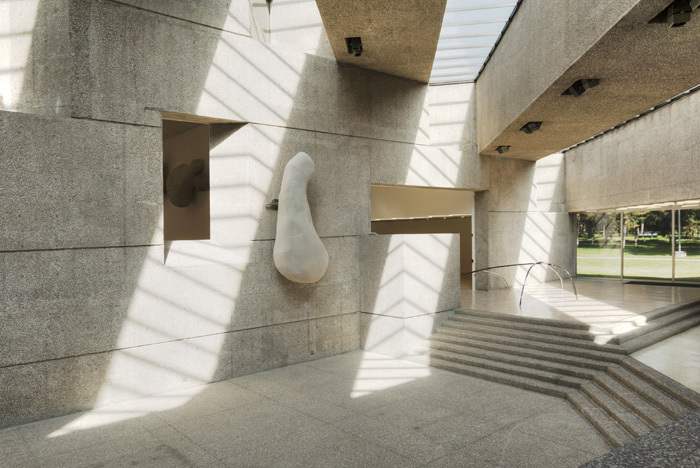 The architecture of the Museo Tamayo acts as both host and foil, its visitors the muses.